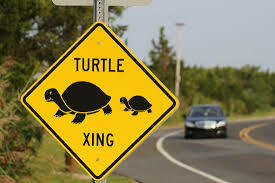 Take this quick 2-3 minute survey by Sunday, July 22nd to help researchers at The Wetlands Institute gain a better understanding of the public’s awareness of a new conservation effort being implemented in Stone Harbor this summer to reduce road mortality rates of diamondback terrapins. Results will be kept anonymous and used to improve these conservation strategies. Ask a question or give us feedback. Subscribe to our newsletter and join our 1 902 subscribers.